Cape Town - Capitec is South Africa’s favourite bank and OUTsurance its most-loved short term insurer, according to the Sunday Times Top Brands awards. The results of the annual survey, conducted by market research agency Kantar TNS, were announced at a gala event in Johannesburg on Wednesday evening. 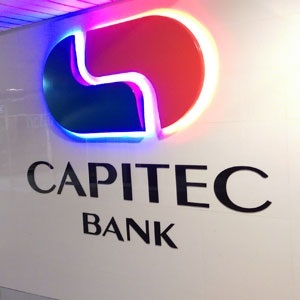 Capitec [JSE:CPI], which recently overtook Nedbank to become South Africa’s fourth-largest lender by value, was placed first among the six local banks. It was followed in terms of ranking by FNB, Standard Bank, ABSA, Nedbank and Post Bank. The bank also won another award on Friday, when it was also named Company of the Year at the All Africa Business Leaders Awards in Partnership with CNBC Africa. The two awards follow a stellar year for the lender, which in July was rated the best bank in the world in Lafferty Group’s 2017 Global Bank Quality Benchmarking study. One local bank that wasn't in the running this year is TymeDigital, which on Thursday was granted an operating licence by the South African Reserve Bank. In the short-term insurance category, OUTsurance was placed first. It was followed, in order, by Hollard, First For Women, AA Insurance, Stanbic (Standard Bank), Auto & General, Budget Insurance, Mutual and Federal, Santam and Discovery Insure. OUTsurance Holdings is 87% owned by Rand Merchant Investment Holdings [JSE:RMI]. The long-term insurance category, meanwhile, was won by Old Mutual. Alexander Forbes and AVBOB rounded out the top three. The polling was conducted by market research agency Kantar TNS. In a media release it stated that to find the best brands for the 32 different consumer categories announced on Wednesday, it polled 3 500 people aged 18 years and older in both metropolitan and non-metropolitan areas. “Similarly, 468 business leaders and decision-makers were interviewed to establish the Top Brands across twelve business categories,” it said. “The Kantar TNS methodology used to establish brand ranking and category winners is based on the concept of relative advantage. This takes brand familiarity and awareness, the perceptions of users and non-users, as well as the size of brand presence in the market into account”.